We awoke the next morning (in tents) to the sound of Red Crossbills, after which we headed south. 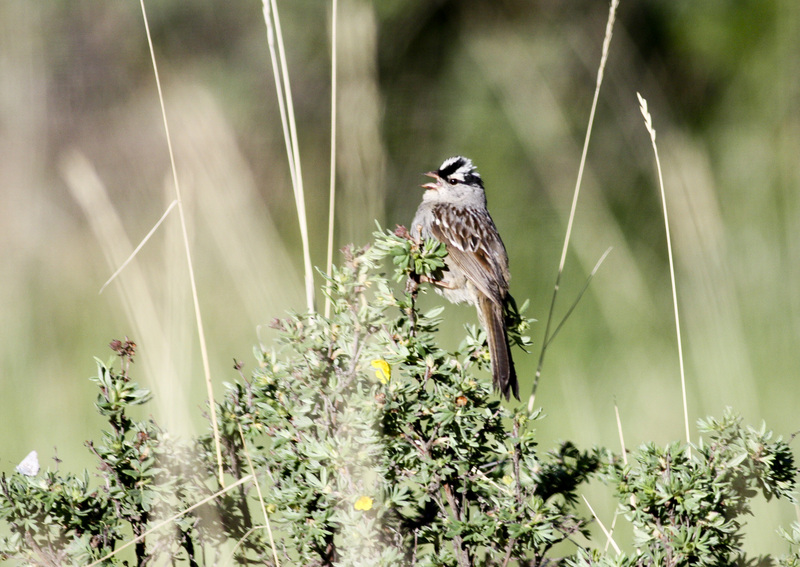 Stopping at several places for birds like Lark Sparrow, Black-billed Magpie, Green-tailed Towhee, Cassin’s Finch and White-crowned Sparrow, we made our way into Phantom Canyon. Down the long canyon we went, eventually ending up at the Pueblo Raptor Center in early afternoon. There we learned about the rehabilitation work they do there, and got to try our hands at sketching some of the raptors. 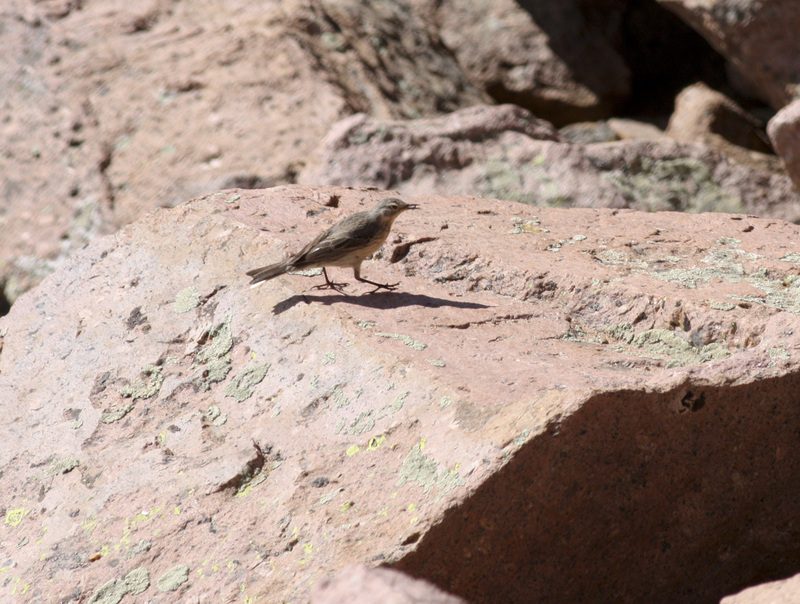 Nearby the center we found Canyon Towhee, Scaled Quail and Say’s Phoebe. 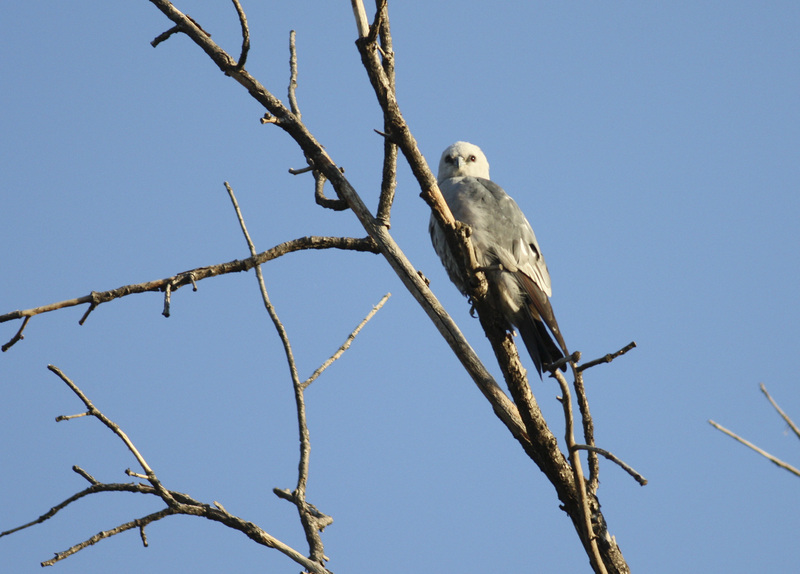 Then, on a tip, we went to the Pueblo Zoo, looking for Mississippi Kites. I spotted one soaring above a parking lot, and we all piled out, soon locating a second further away. It was a fun day. 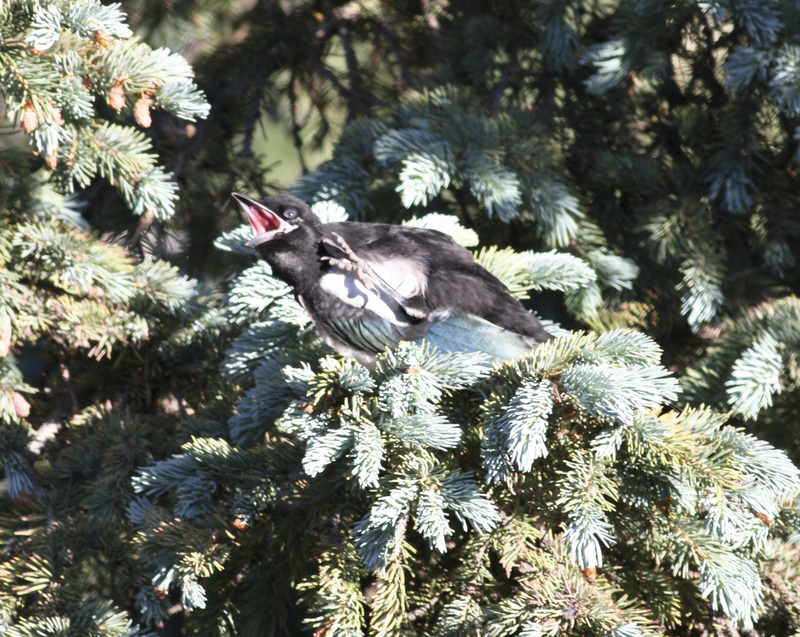 A young magpie scratching an itch. 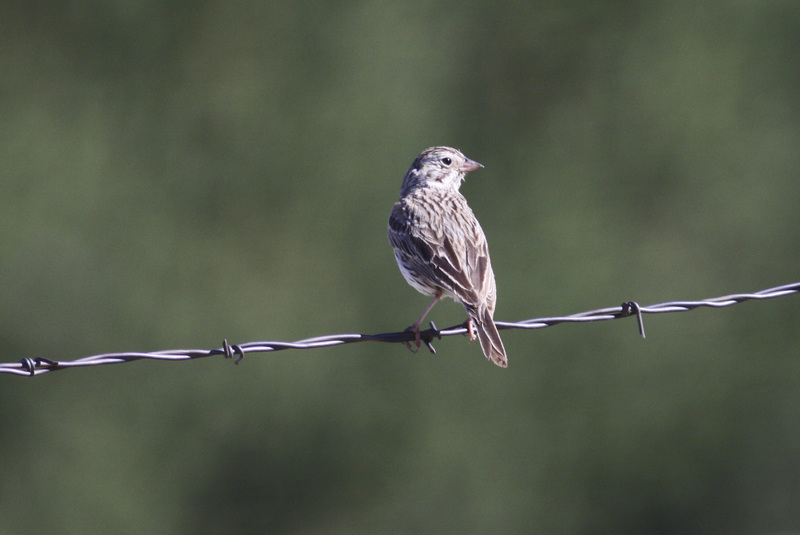 A Vesper Sparrow we passed by on the side of the road. Looking down into more of Phantom Canyon. 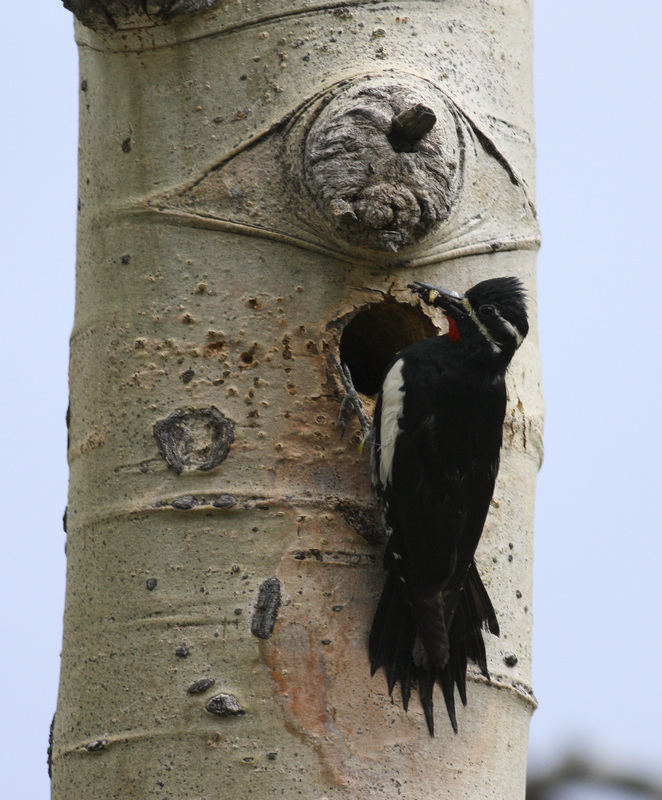 A Red-naped Sapsucker near his nest. There was no breakfast at camp the next morning — no time for that — and we hit the road right away. Don’t worry, we did eat breakfast, but only after driving for a couple hours, at a spot where we could get some birding in at the same time. That spot was Lathrop State Park, where there were Western Grebes, Bullock’s Orioles, Lark Sparrows, Western Meadowlarks, and Great-tailed Grackles. After spending about an hour there, we arrived at one of our main stops — the Medano-Zapata Ranch. 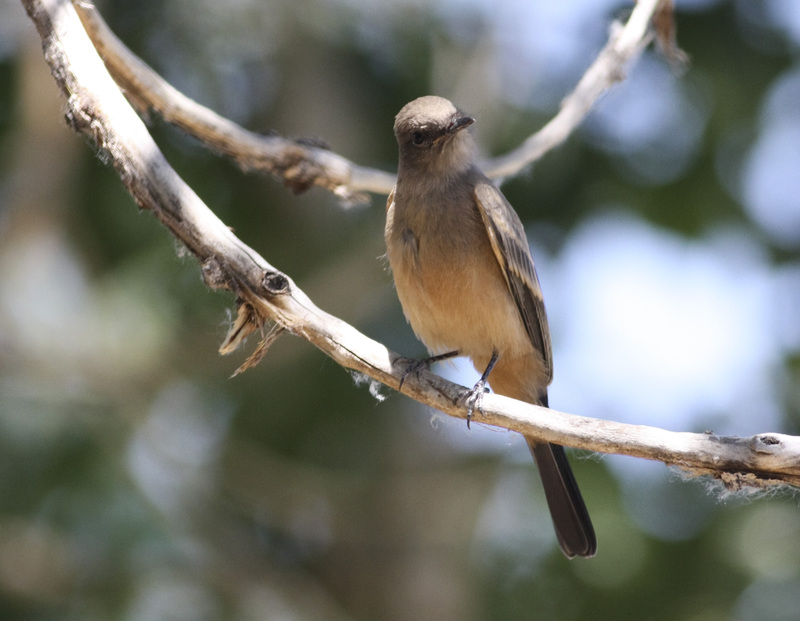 We started birding along the road, but soon we were turned back by a hoard of unrelenting mosquitoes (and no one, it seemed, had brought insect repellent with them). 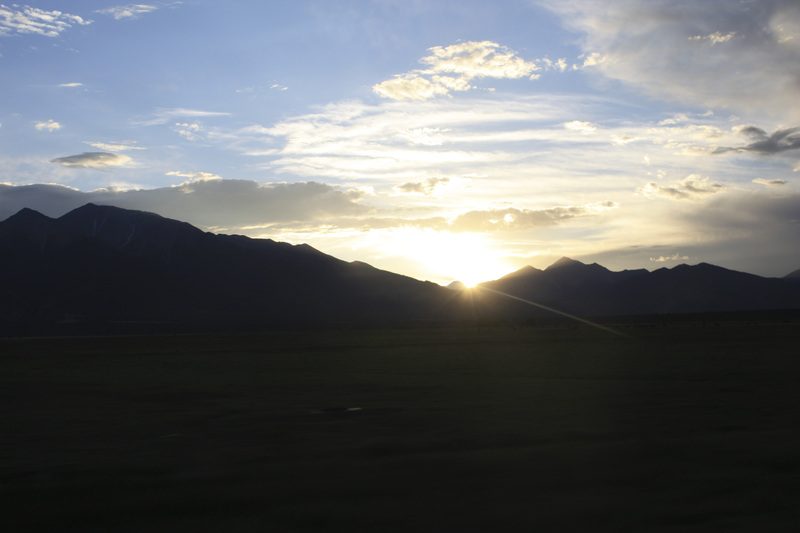 No worries, we continued to Great Sand Dunes National Park, where birds included Plumbeous Vireo, Cordilleran and Dusky Flycatchers, MacGillivray’s Warblers, and a host of others (nothing new for the trip, though). 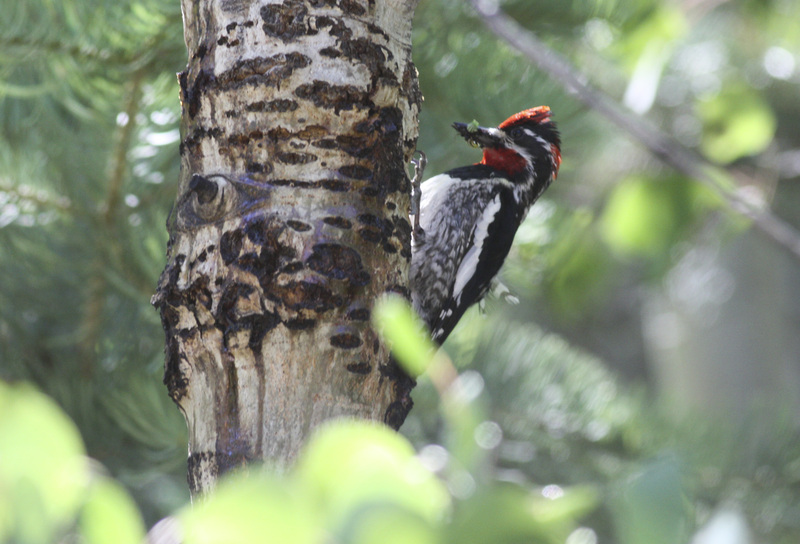 Luckily, we had Ted Floyd, editor of Birding magazine, with us for the next couple days, and he led us to a spot where we could find sage birds. Sure enough, after only a minute or two out of the car, we located a few Sage Thrashers and a Sage Sparrow. The best birding of the day was yet to come, though — Russell Lakes is a huge freshwater complex, and it held hundreds of waterfowl. Gadwall, American Wigeon, Blue-winged Teal, Canvasback, Redhead, Ring-necked Duck, Ruddy Duck, Pied-billed Grebe, Clark’s Grebe and a couple others I’m sure I forgot made up the ducks and grebes. There were also numbers of American White Pelicans around, and, most surprisingly, every once in a while an American Bittern would fly by. 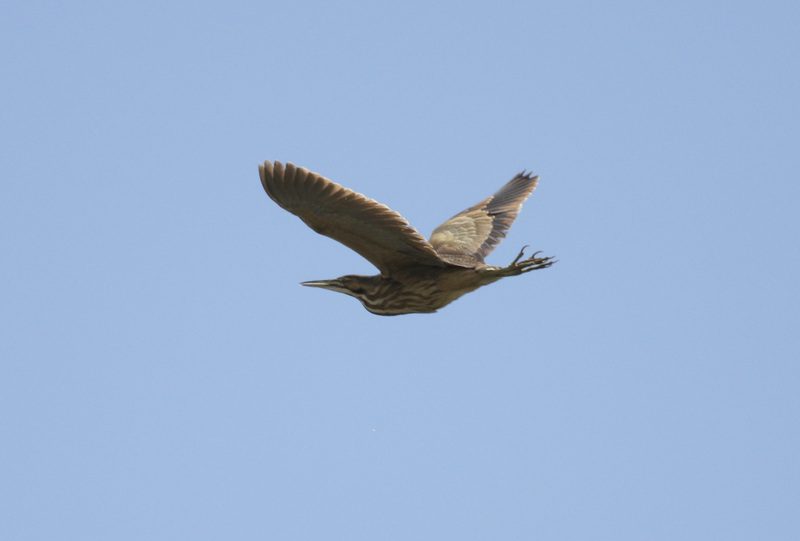 We must have seen at least 10 bitterns in flight, an extremely large concentration for one area. 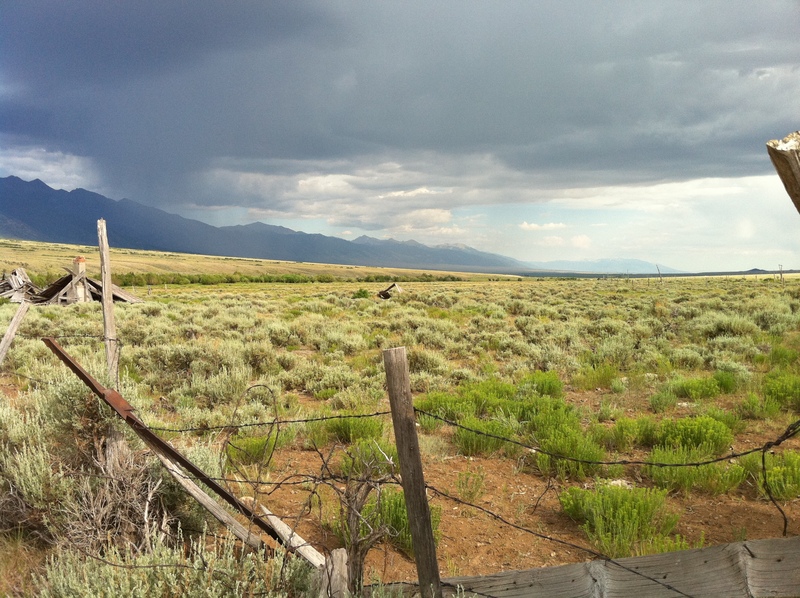 Ted then led us to a spot where there were Gunnison Sage-grouse, but a thunderstorm stopped us before we could get close enough to the good spot for them. 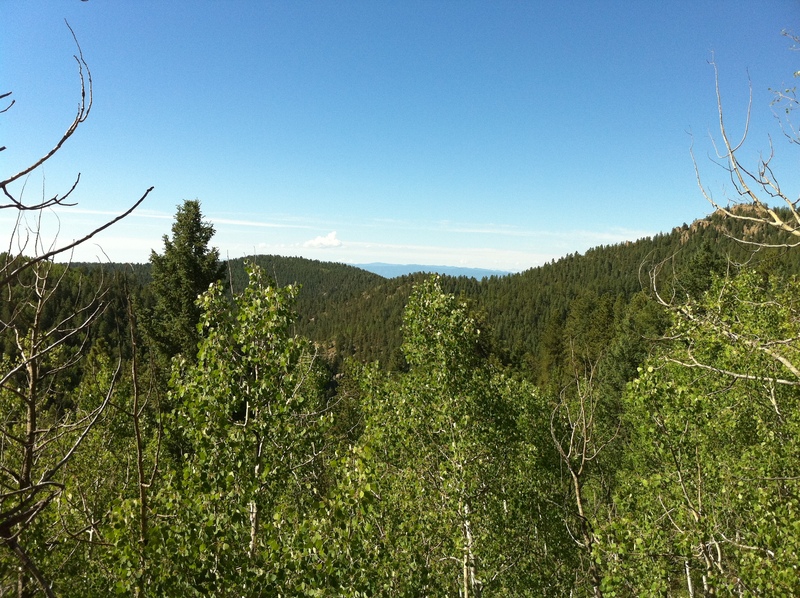 But, there was a Brewer’s Sparrow and nesting Mountain Bluebird close by. Dinner that night was delicious pizza, and we found an incredibly photogenic American Dipper in the fading evening light. 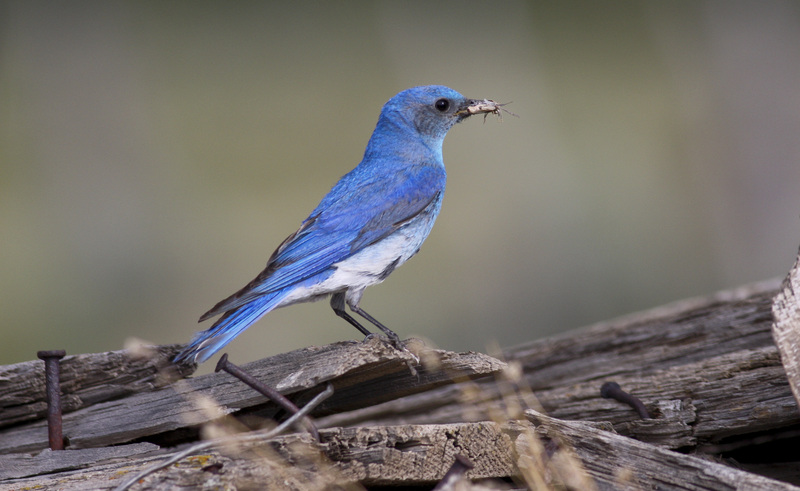 A stunning Mountain Bluebird about to feed its young. 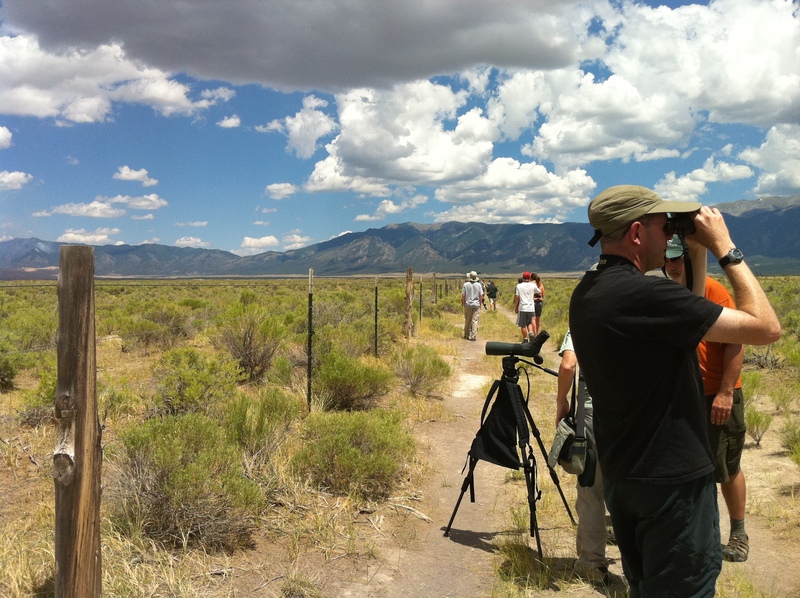 Looking for sage birds with Ted Floyd. 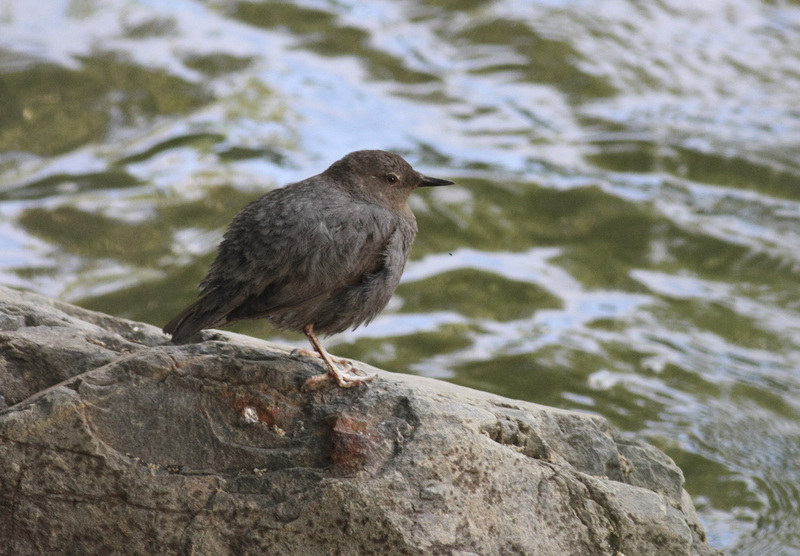 This dipper must have sat on that rock for 20 minutes straight. 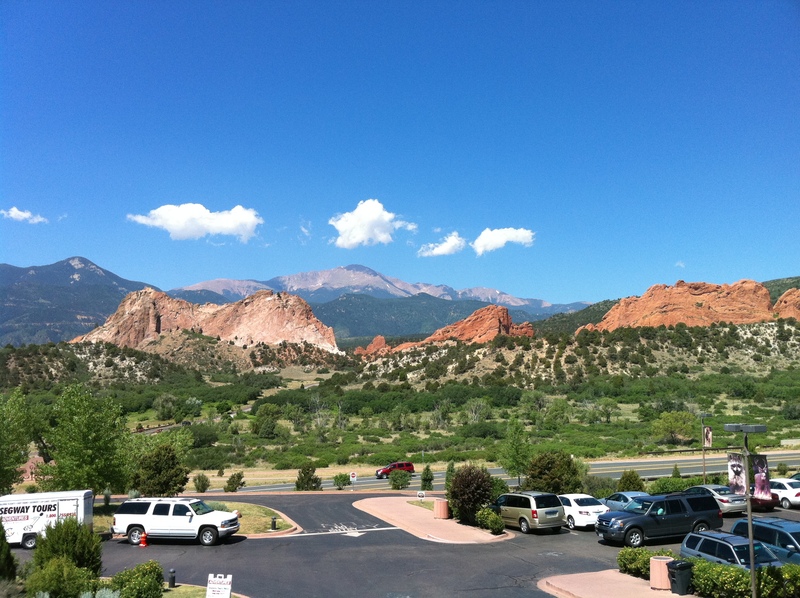 On the 29th we stayed a bit closer to home, birding Garden of the Gods Park. Immense for only a city park, there was a huge concentration of White-throated Swifts whirling around the cliffs as a few nesting Prairie Falcons hunted around. Western Scrub-Jay and a family of Canyon Wrens were other cool birds. Ted challenged us photographers to photograph the swifts, saying that any excellent one could go on the cover of Birding. I didn’t get any worthy shots, unfortunately. Those birds are hard to photograph, never sitting still! Garden of the Gods Park -- those cliffs are where the falcons nest. 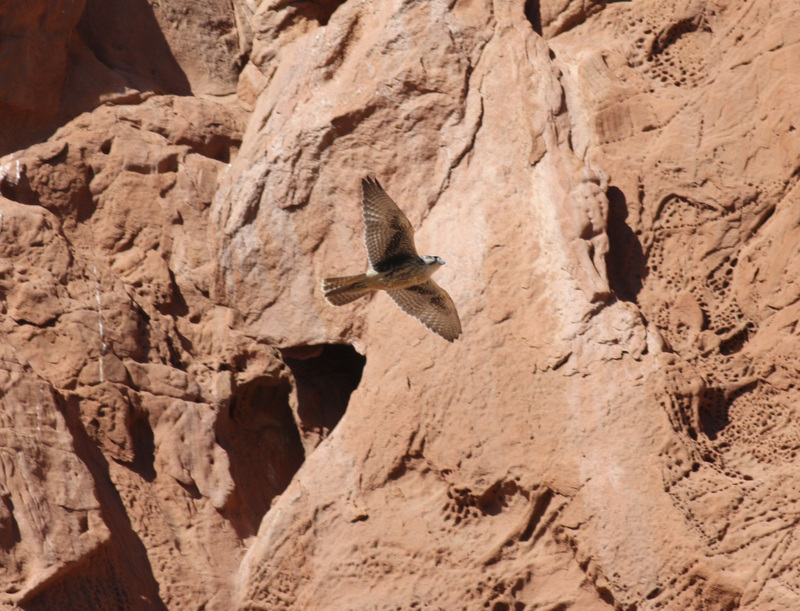 A Prairie Falcon soaring against the cliffs. 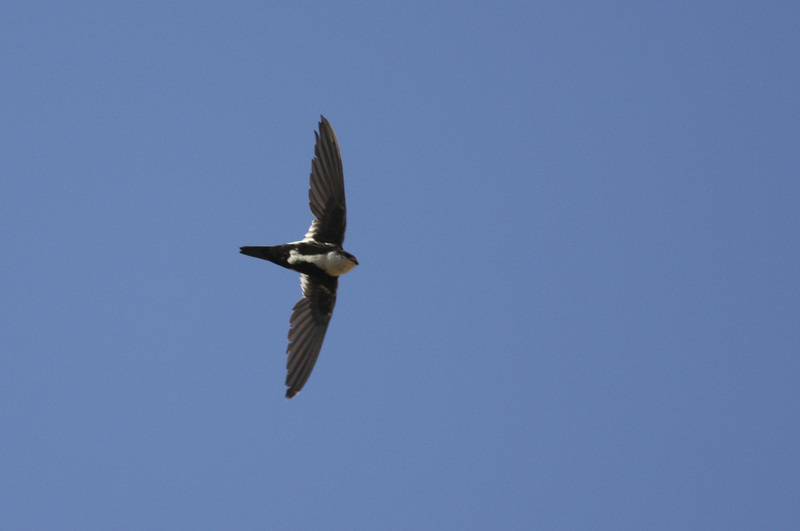 One of about 100 swifts. The next day we were joined by Bill Maynard, editor of Winging It, another ABA publication. 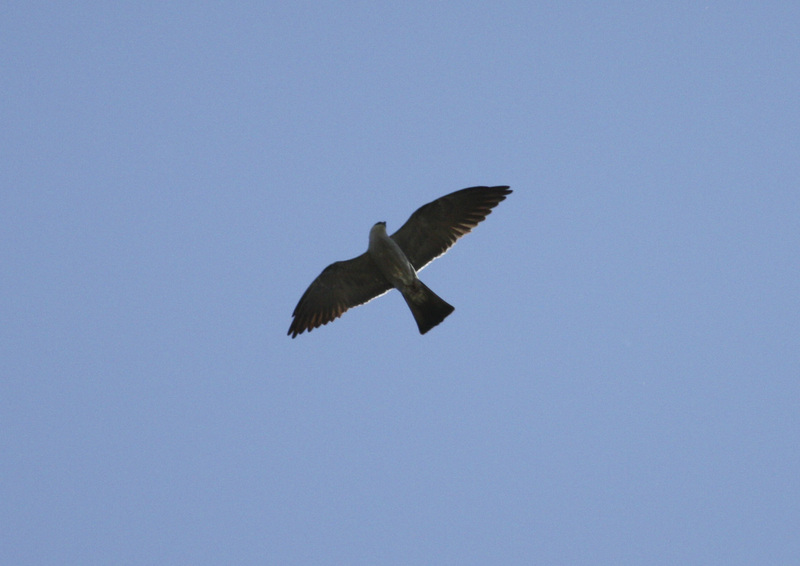 En route to Chico Basin Ranch, we stopped in Fountain, CO for Chimney Swifts, but also found a pair of Mississippi Kites! Passing through Frost Ranch on the way to Chico Basin, we saw Loggerhead Shrike, Curve-billed Thrasher, and many flight-singing Cassin’s Sparrows. The Ranch was excellent — highlights were Virginia Rail, Chihuahuan Raven, Wilson’s Phalarope, Ladder-backed Woodpecker, and Yellow-headed Blackbird. The afternoon was the time we had all been waiting for, however. 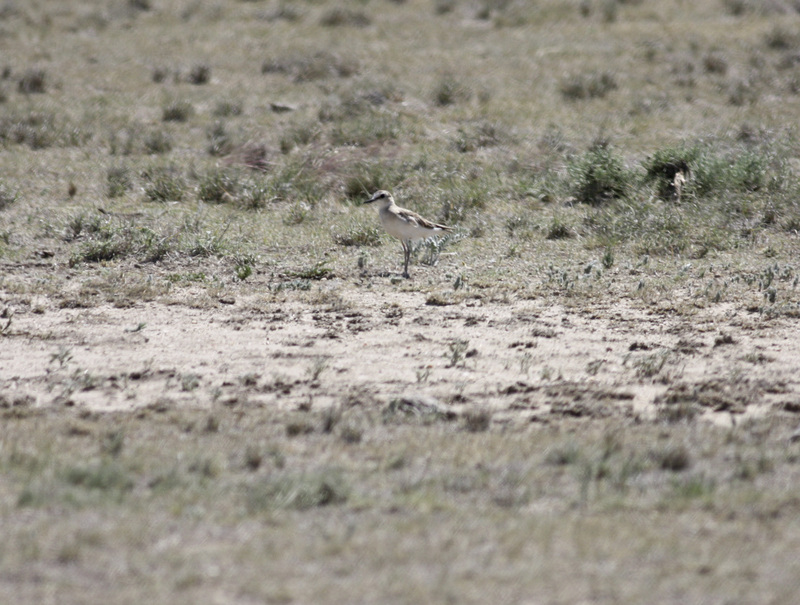 It was time to search for Mountain Plovers! 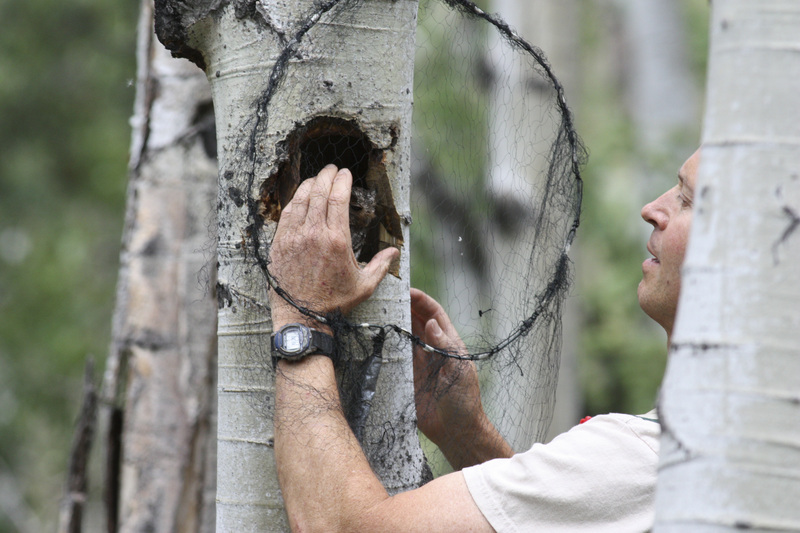 We met Russell Davis, a landowner who, ten years previously, would’ve had no interest whatsoever in birds. 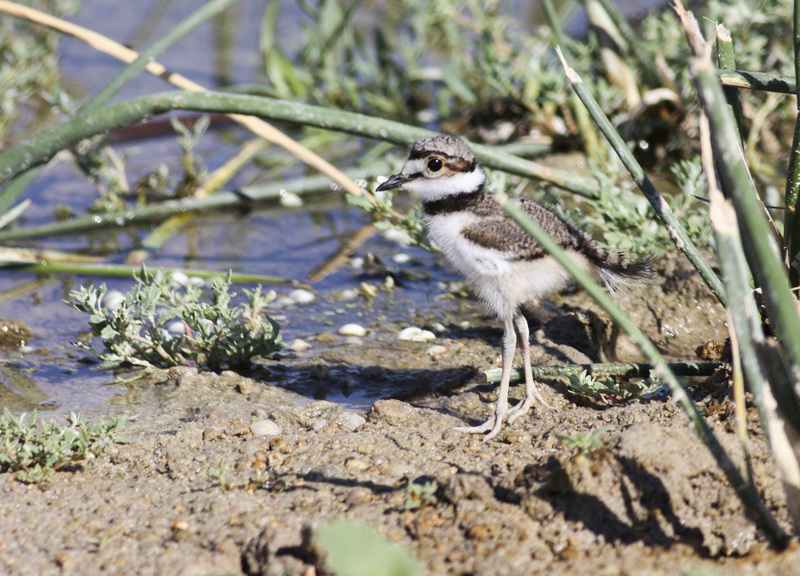 But he had a high number of plovers on his land (> 25 nests), and was willing to work with the Fish and Wildlife Service to conduct research on the birds. 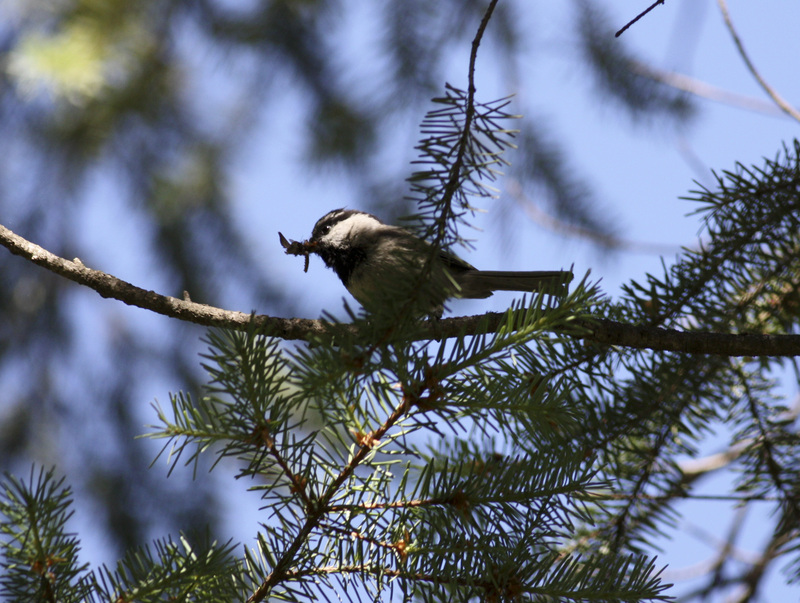 He also graciously allowed us to eat lunch in his house, and he and Maggie, a researcher, talked to us about the birds. Finally we were able to get out and search for one, and after a while of driving through prairie dog towns we stumbled across a lone bird. Success! Mountain Plovers are near-threatened, and there has been a push to put them on the endangered species list, so we felt lucky to have found one. On the way out we found several Lark Buntings as well, another resident of the short-grass prairie. 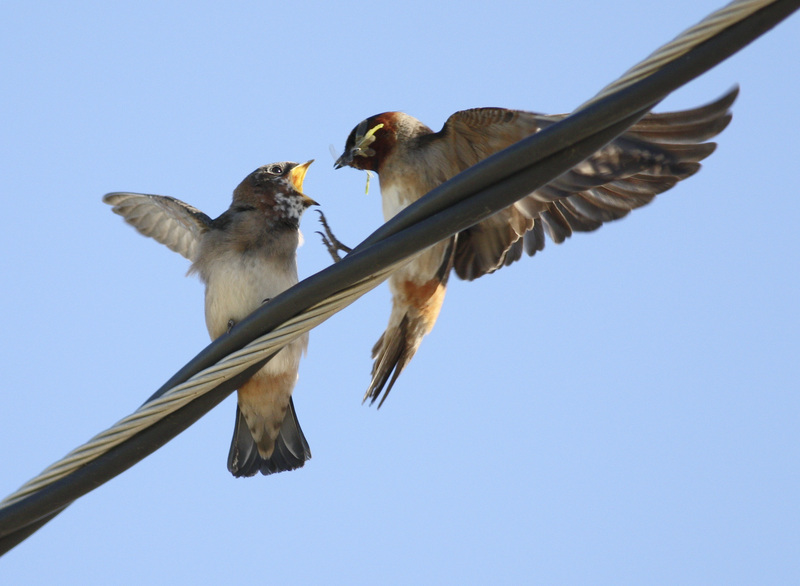 A young Cliff Swallow being fed. 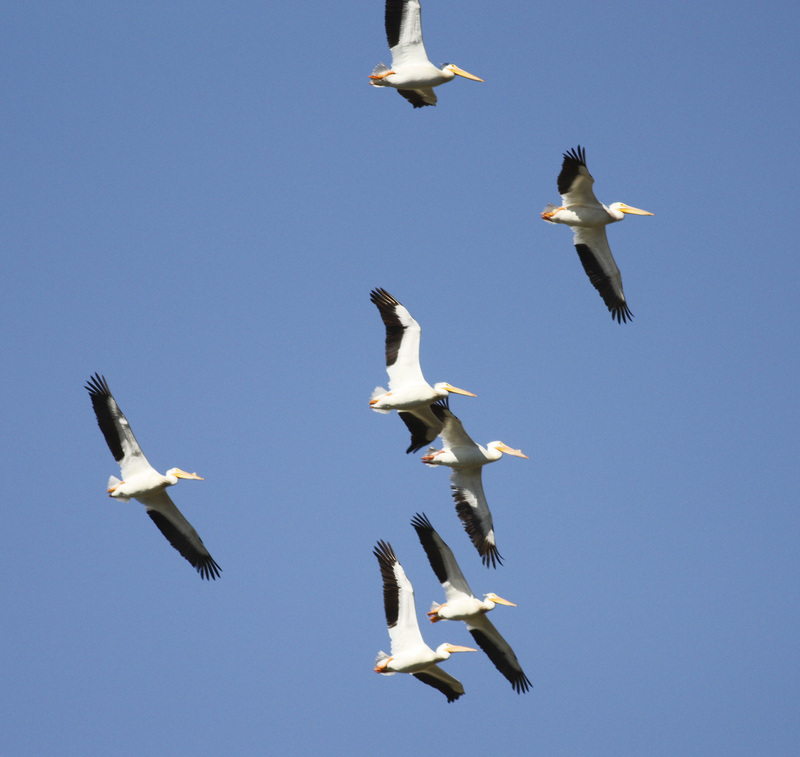 A group of pelicans soaring over Chico Basin Ranch. 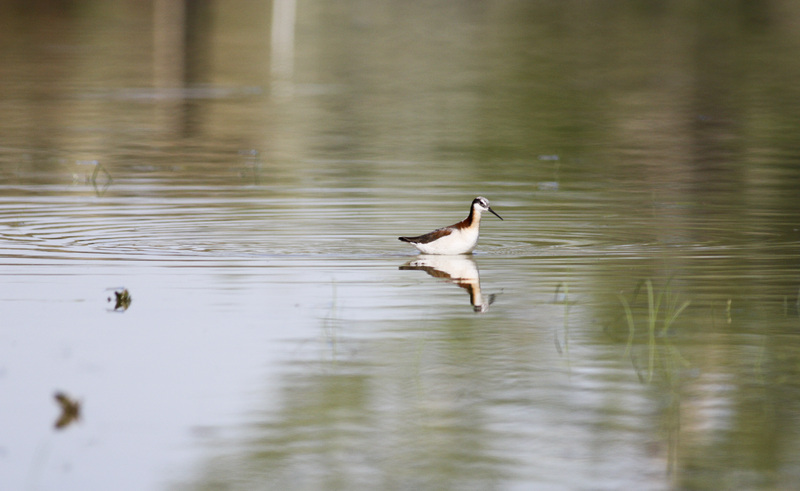 A female Wilson's Phalarope. 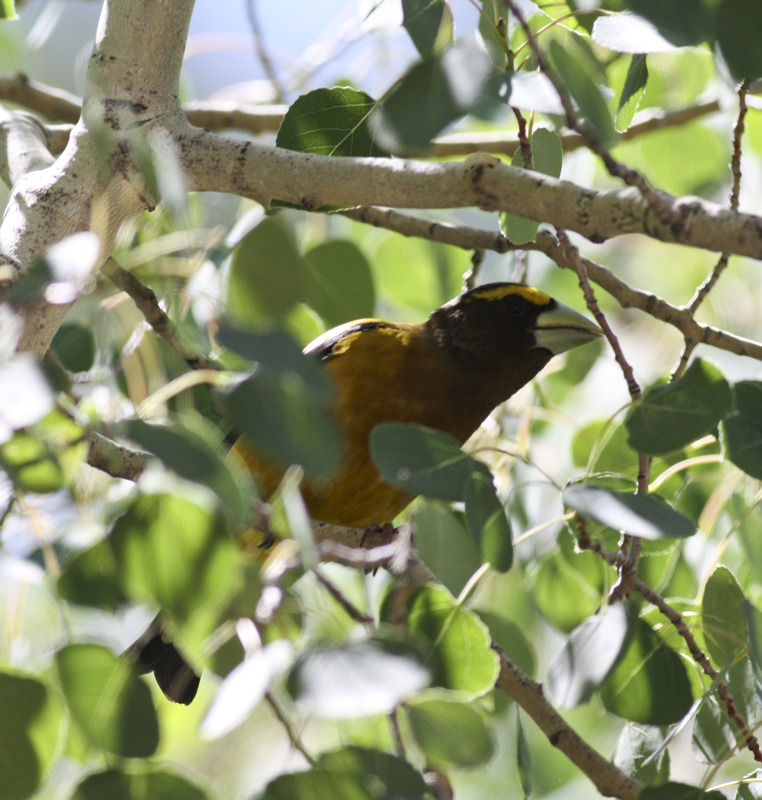 These polyandrous birds are interesting because the females are brightly colored and the males do all the incubating and raise the young, the opposite of normal sexual dimorphism. For our last day of birding, we headed all the way up to the summit of Pikes Peak, over 14,000 ft in elevation. 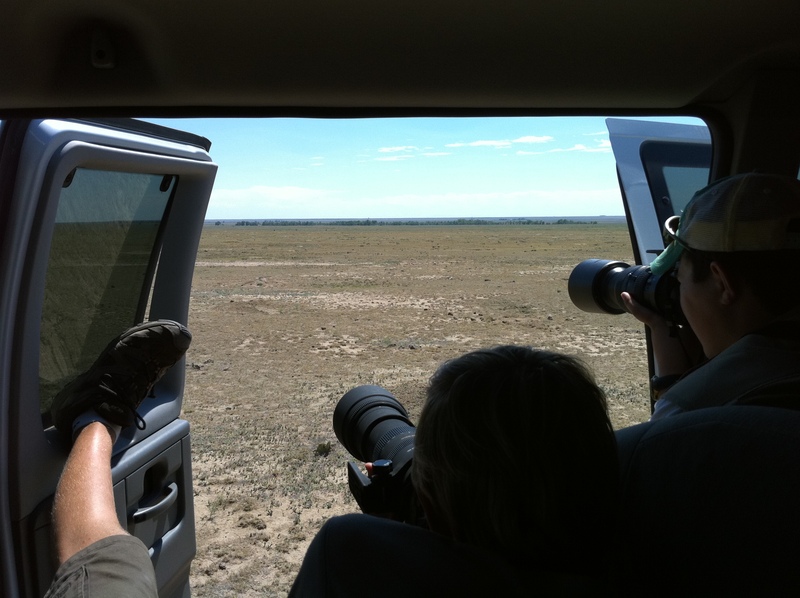 We were looking for a couple target birds, namely Brown-capped Rosy-finch and White-tailed Ptarmigan. Soon after reaching the summit we found a Brown-capped Rosy-finch on a snowfield, one of several we located that morning. American Pipits were around, and Red Crossbills called on a few occasions. 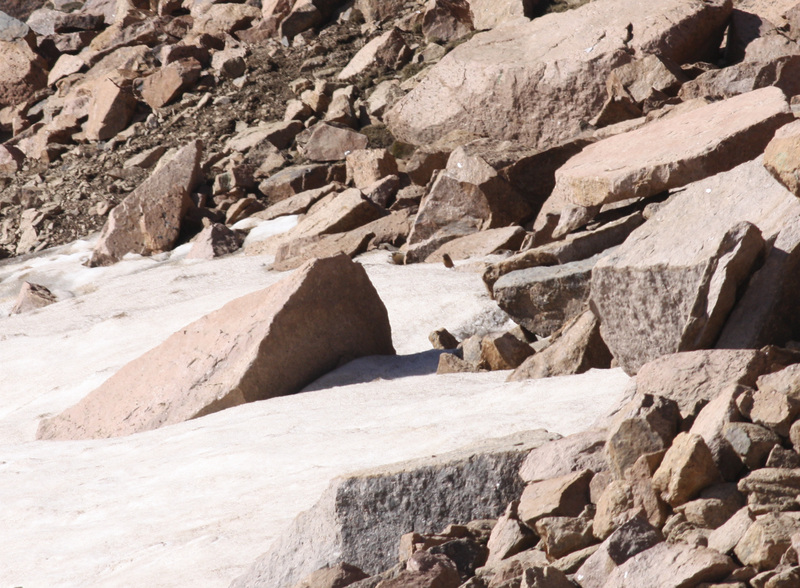 We found interesting mammals like Pikas, Bighorn Sheep, Red Fox, and Hoary Marmot, but no ptarmigan. All was not lost, however, as Chip had something really special planned for the afternoon. 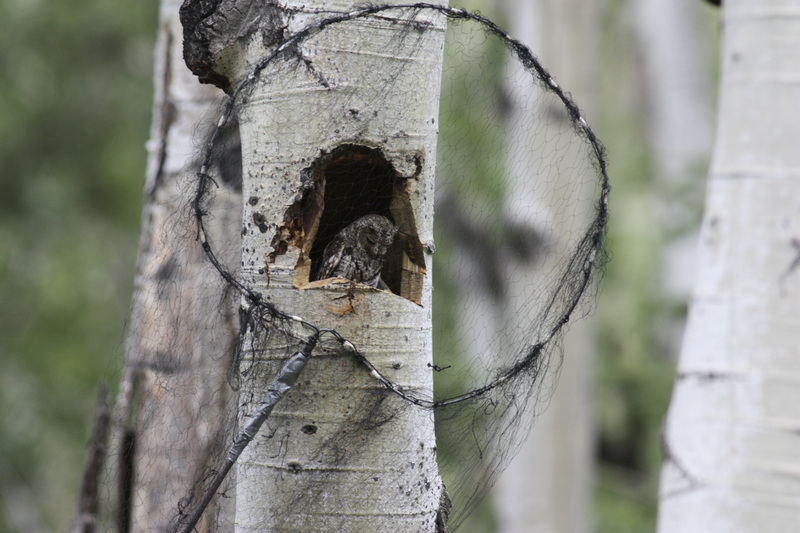 We met up with a research team that was studying Flammulated Owls, and we had arrived at the right time — they were monitoring a nest with chicks just old enough to be taken out of the nest and measured/massed. We drove out into the forest, one about as pristine as there is in Colorado (not logged since the 1800s), and arrived at the nest hole. As we were approaching, the female appeared at the cavity entrance, and with surprising ease was captured (the owls are extremely docile). We all got to hold the bird and see the chicks as they were taken out and returned to the nest. 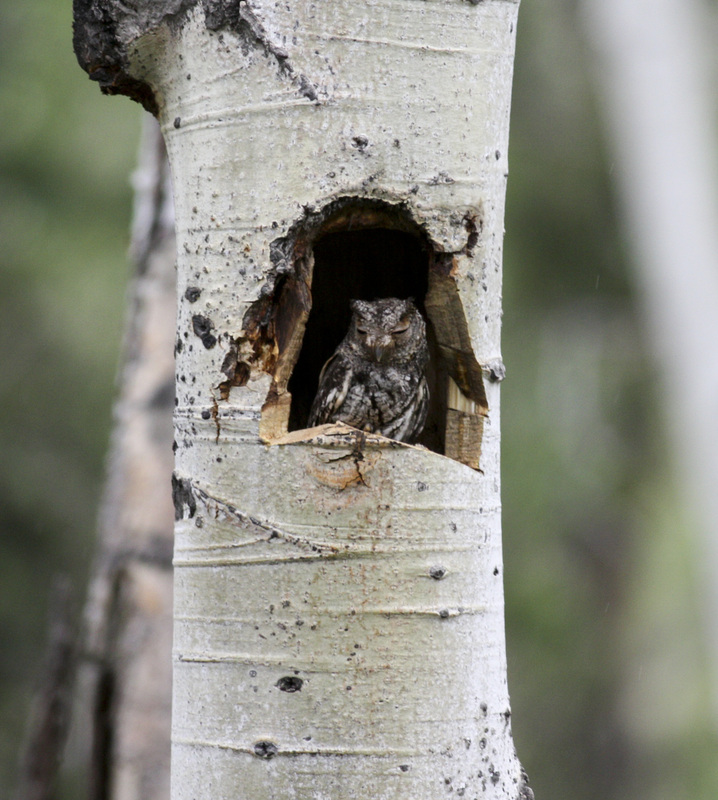 Quite a cool experience, as these owls are seldom seen, even at night. 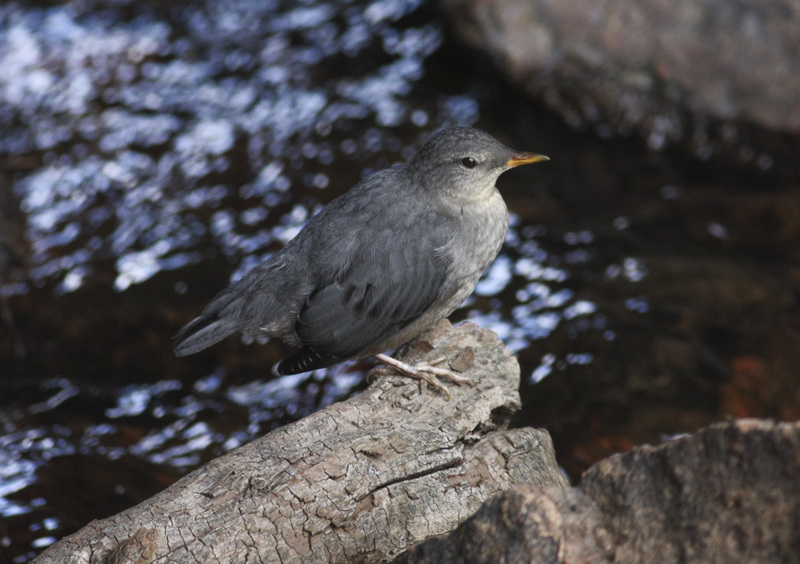 On the way out we stopped at a stream and found another American Dipper! This one was a juvenile. Well, camp was almost over. We tried owling that night, but it was windy and raining sporadically, and no owls returned Michael’s imitations. Can you find the rosy-finch? It's that little speck right of the big rock in the center-left. American Pipit checking us out. This Red Fox was almost undoubtedly sick, hanging around the roadside and seeming unafraid of us. 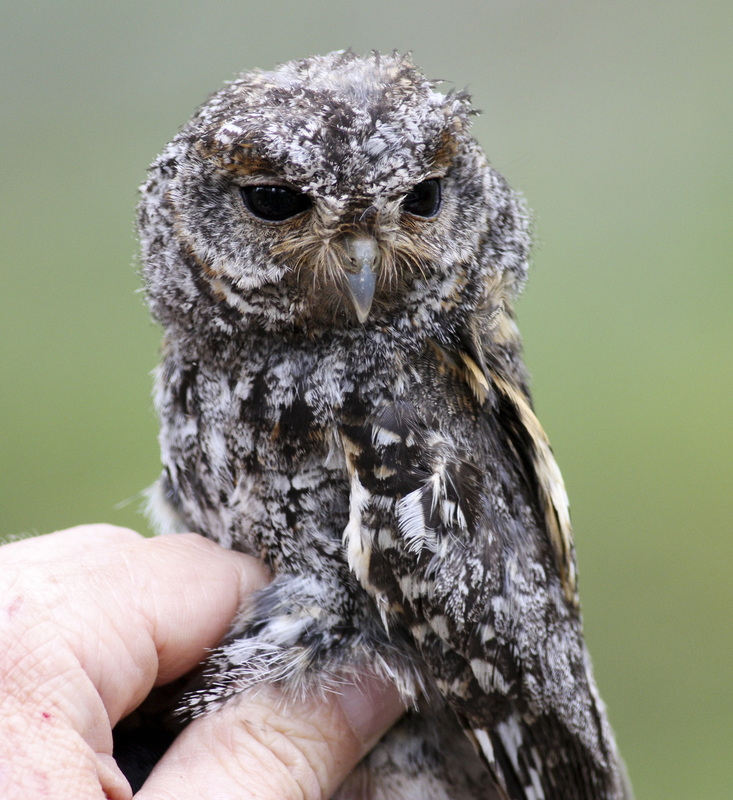 What a cute owl...the second smallest in North America (next to the Elf Owl). 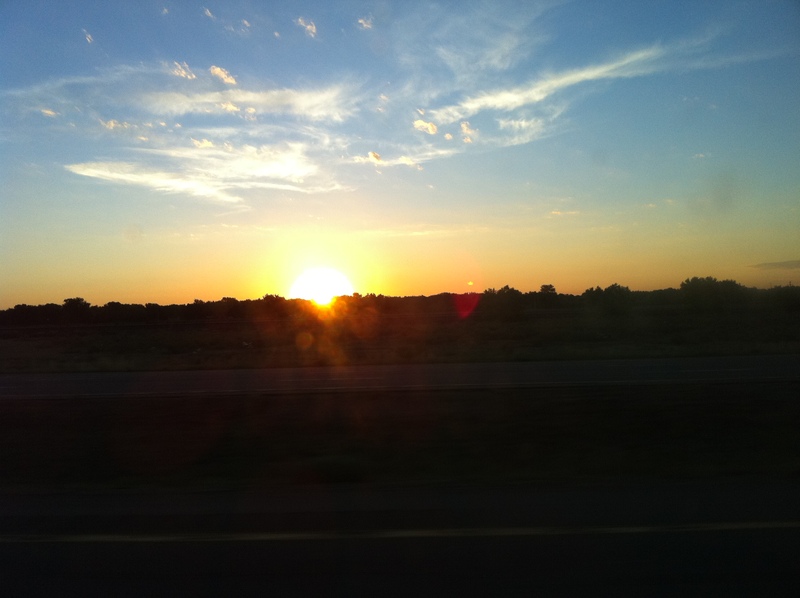 The next morning, July 3rd, I flew out of Colorado Springs at 11 am, and after a long day of flying, waiting, more flying, and more waiting, I finally got home at 10 pm. Quite a fun week! WOW, looks like a fantastic trip! your photos are particularly awesome–love the nighthawk and flying bittern; baby killdeer so cute! too cool that you had a close encounter with the flam! Wonderful trip with lots of great birds and photographs. Makes me wish I could be younger and go to bird camp. Your not the same Dan Huber I used to be in the AF with are you? 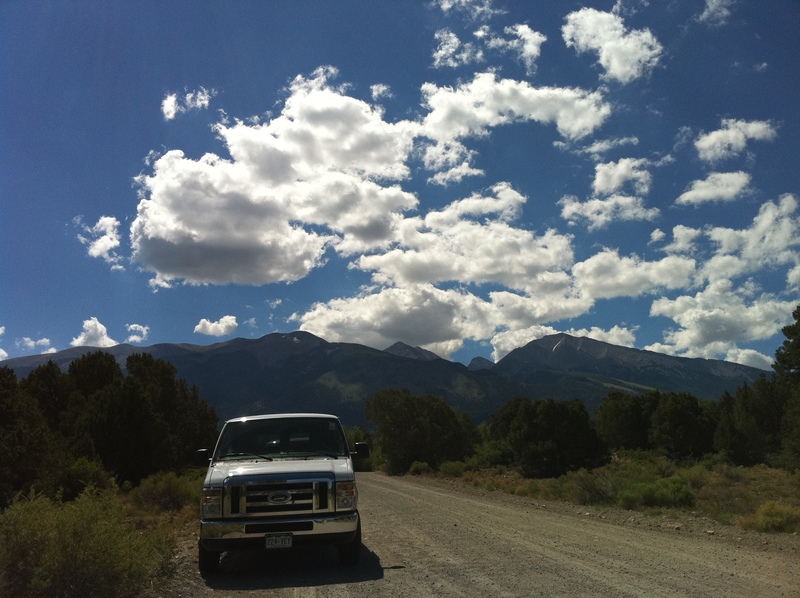 Great account and pictures – I’ve just added Colorado to my must-go list on the back of that! These are amazing photos and great comments. I’ll definitely check in periodically. I work for National Audubon in California and am wondering if you’ll give me permission to use some of your photos for presentations. In particular, I’m interested right now in using your images of Mountain Plover and its habitat for a presentation to Chapters very soon. I’m an artist in Portland, Oregon. I’m working on a protected garden retreat for children who are cancer patients at a pediatric cancer center here in Portland. 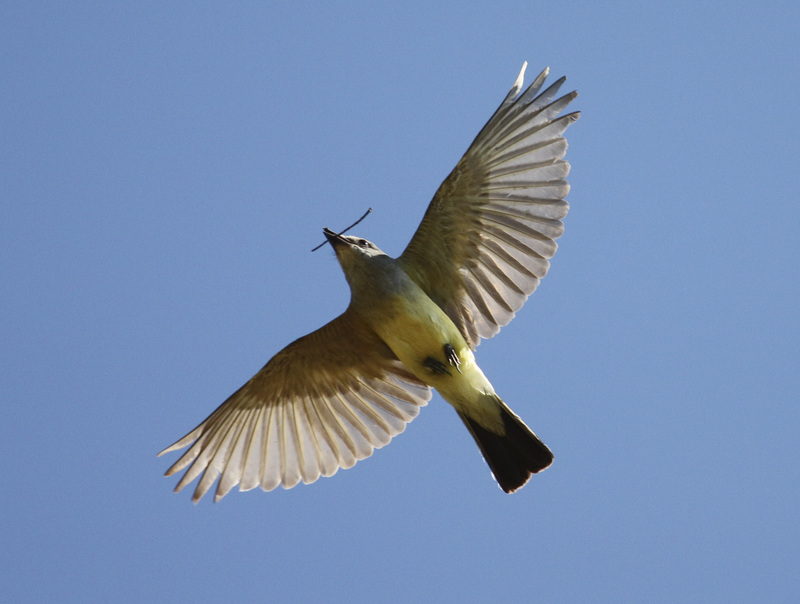 I’d like to reproduce your picture of a Western Kingbird as part of a photo montage that will be silkscreened on glass privacy screens that will enclose an area of the garden that will be used on nice days by terminal children and their parents. I’m using pictures of birds and butterflies as a way to lift the mood and provide inspiration at a scary time for everyone involved. 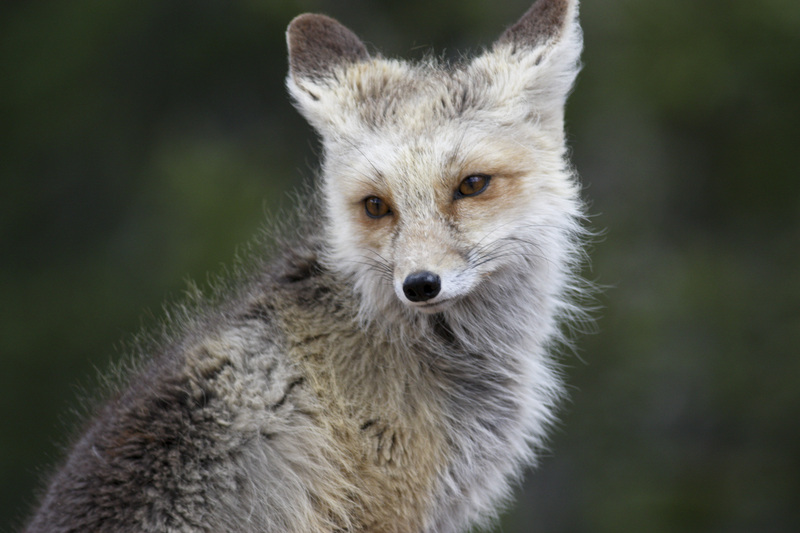 My husband is a photographer and between him and public domain images from the US Forest Service and Oregon BLM I’ve been able to gather almost all the images I need. But your Kingbird image is the perfect image for the entry to the garden with the lone bird in flight with illuminated wings. The project is on a tight budget for everything we hope to accomplish but I would be happy to pay for the use of the image and I would find a way to credit you for use of the image although it would not be right on the glass screens because I am not signing anything myself, because I don’t want to intrude on the mood of the garden with a lot of text. Most of the time there is a plaqque or brochure for these sorts of projects and that’s where the photo credits would be.Can you give me a way to contact you and tell you more about the project? If you don’t want to take part I understand but please let me know as soon as you can as I will need to find a public domain image to take the place of your Kingbird. 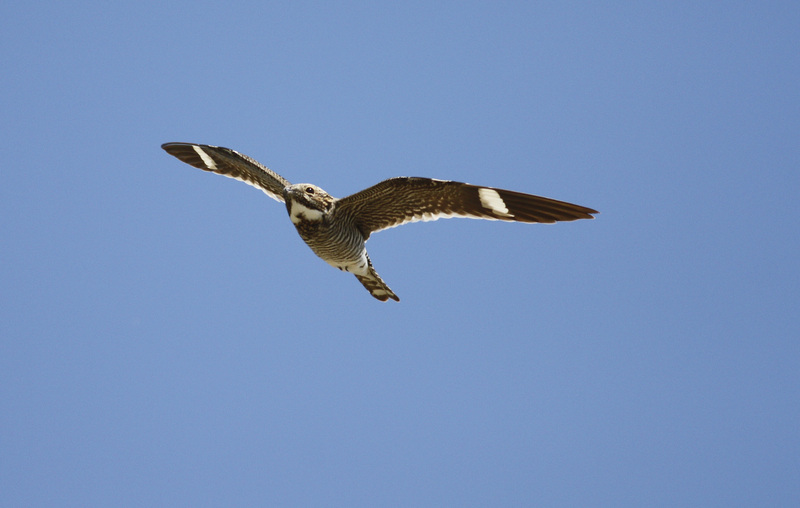 Benjamin — love your shot of the Common Nighthawk. May I use it for a presentation that I am giving this weekend on the birds of Havre de Grace (MD) to the town’s maritime museum? This is a one-time presentation for which I am receiving no financial compensation. I will give you photo credit for the image. Thanks in advance.